Queen Liliuokalani’s birthday celebrations continue, 2013. 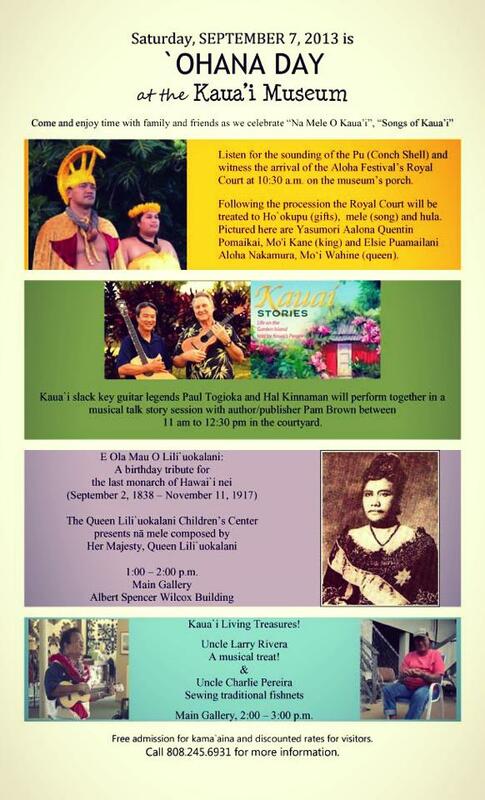 ʻOhana Day at the Kauaʻi Museum. This entry was posted in Alii, Aloha Aina and tagged Kauai Museum, Liliuokalani by nupepa. Bookmark the permalink.